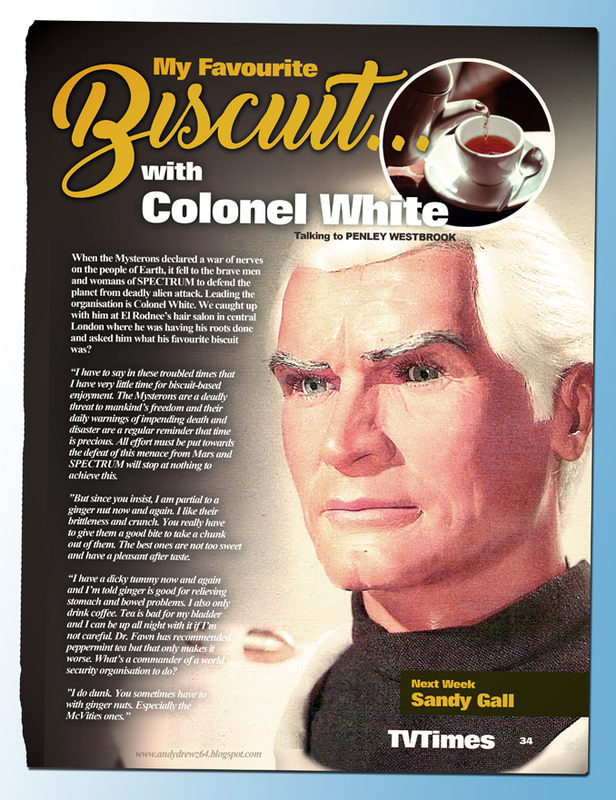 It started out as a little running gag on my Gerry Anderson TVTimes covers (see previous post). 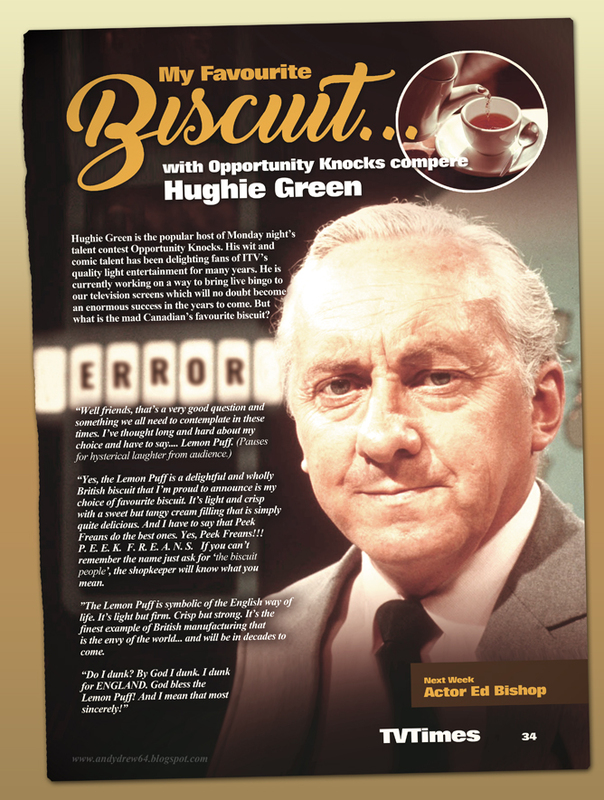 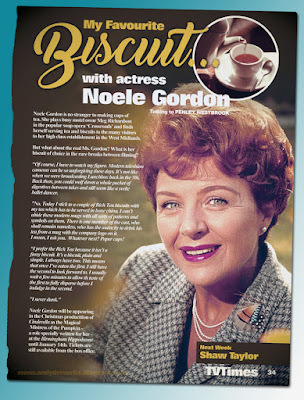 Noele Gordon (from TV's Crossroads) revealing her favourite biscuit to readers of the popular ITV listings magazine in a series of articles that on closer inspection seems to have run for nearly thirty years. Despite the odd nice comment about the artistic merit of the covers, folk seemed to be more interested in the late soap queen's biscuit preference. 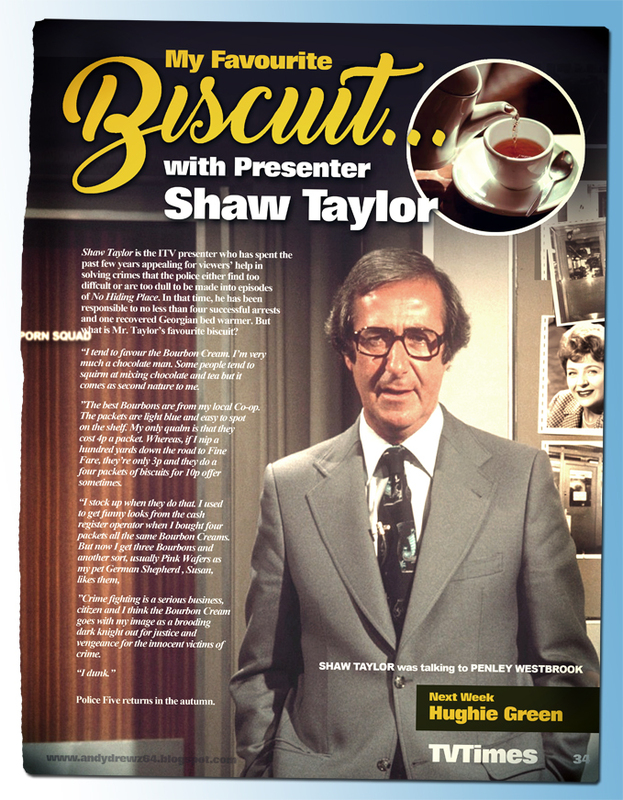 So, by popular request here it is... together with a selection of other noted celebrities from the late 60s/ early 70s. 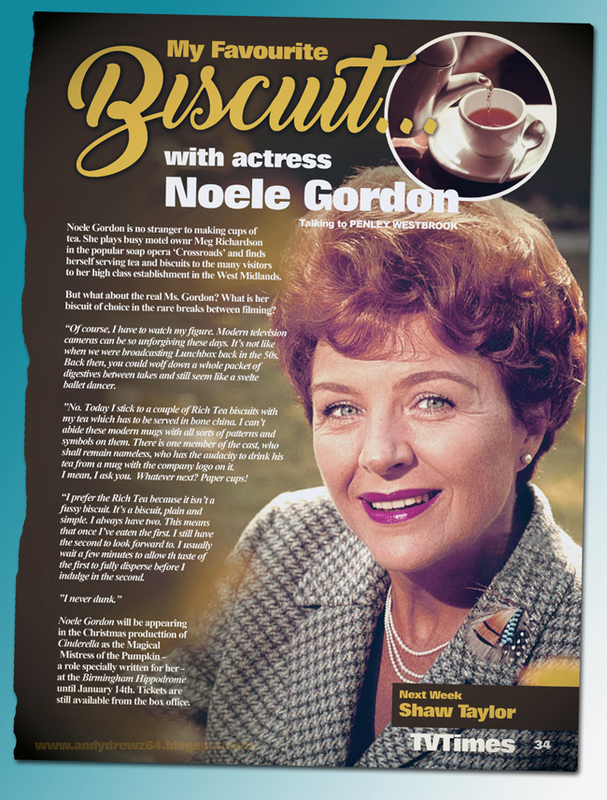 Click on the images to make them larger... and legible!